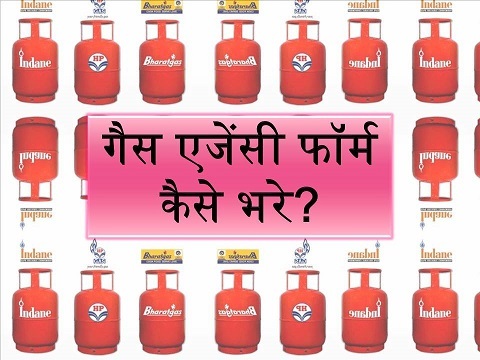 Under the scheme of Pradhan Mantri Ujjwala Yojana, the central government of India has taken an innovative step to spread the availability of petroleum products along with the LPG connections across the nation, by allowing people to apply for the LPG distributorship. With this initiatives, people can able to avail the LPG distributorship of Indian based petroleum companies HP, Bharat gas and Indane via LPG Vitarak Chayan gas agency. The first and as well as the main reasons behind such initiative would be providing sufficient LPG supply to all the parts of the nations along with the reach of all petroleum products. And also, this initiative that taken through the LPG Vitarak Chayan Gas agency will surely help all the oil or petroleum companies to expand their business network all across the nation. People who are interested in getting LPG distributorship from the top Indian oil companies HP, Bharatgas and Indane can apply through LPG Vitrak Chayan. Well, Vitrak Chayan is nothing but a web portal which specially designed and launched by the government of India in order to ensure the transparency of the drawing applicants to hold the distributorship. Also, the government of India has provided 4 formats for staring the LPG distributorship in their preferred location of the applicant. The 4 formats of LPG distributorship are Sheheri Vitrak, Rurban Vitrak, Gramin Vitrak and DKV (Durgam Kshetriya Vitrak). Sheheri Vitrak: In this format, the LPG operation will carried within the urban area based upon the census report of 2011. Well, the LPG distributor located in the urban areas and carries the LPG distribution to the consumers within the municipal limits of the cities. Rurban Vitrak: In this format, the LPG distributor would be located in urban area, however, the supply of LPG to the consumers who are all located in villages or the areas which are covering the limit of 15 kms from the municipal areas. Gramin Vitrak: In this format, both the LPG distributor and the LPG supply to the consumers will carried within the rural area limits as per the census data of 2011. Durgam Kshetriya Vitrak (DKV): Well, in this DKV format, the LPG distributors will locate in the most difficult areas like hilly region, forest areas and so. In most cases, in the areas in which the Gramin and Rurban vitrak is not possible to establish will comes under the DKV areas. How to apply for LPG distributorship? For those who are all looking for the perfect steps to follow in order apply for the LPG distributors under the prescribed 4 formats needs to follow the simple procedures. The government of India has launched a separate web portal LPG Vitarak Chayan for applicants to apply for availing LPG distributorship authority. The applicant needs to visit the official web portal lpgvitarakchayan.in. By visiting that URL in browser, one can able to find the ‘Register’ button in green color at the right top of the home page of LPG Vitarak Chayan. By clicking that button, applicant will able to see an application form in which applicants needs to fill all the relevant information. Mostly, the form collects the basic information like name, complete address, along with the option of creating eMail id, login password and facility of merging phones with them. After the successful submission of those basic details, the applicants are supposed to re-login the official web ports by entering those newly set email ID and password which entered in registration form filling. Once the applicant login with the newly given credentials, they would be able to witness the advertising information of the selective LPG distributor. Also, applicant can able to see the link captioned with wordings “Notice for Appointment of LPG Distributors – State Name” by clicking that link, you can able to find all the places of the state all you need to do is to simply select the particular place in which you wish to open the LPG distributorship. Afterwards, applicants needs to fill the application form by clicking the appropriate location name in which the LPG distributor point about to inaugurate. While filling the application form, applicant should be very careful on providing valuable personal information along with the soft copy of applicant and signature. Once the applicant submitted their application form successfully, by clicking the submit applicant form button which will be seen at the lower part of the web portal. The applicant must be an Indian citizen and should be a residing in India; also the applicant must possess the minimum qualification of 10th pass from the recognized board. 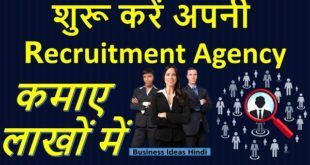 The age factor of the applicant must be in-between the range 21 to 60 with respect to the date of advertisement released by the officials. However, there’s no such age restriction for freedom Fighters to apply. The applicant must not be a family member or any other blood related to the working employee of OMC as of the date of application which they applied. Well before the mentioned last date of the application invited for LPG distributorship, the applicant must own a well defined space for constructing godown by the applicant. Applicant must provide the notarized affidavit along with their applications and the self attested photo copies from any of these proof DOB certificate, School TC, Passport or PAN card. Application must be submitted along with the self attested educational certificate of the applicant. Xth or any other equivalent class completion certificate is enough. Also, the land documents copies needs to be submitted along with the self attestation of the applicants. Documents like sale deed, gift deed, lease deed with the minimum time duration of 15 years is required. For SC/ST applicant they need to submit the relevant proof belonging to the SC/ST caste with the proper authentication from the relevant government officials. The below mentioned table will elaborate you the application details of all four categories. Meanwhile application fee for Sheheri Vitrak and the Rurban Vitrak are same; similarly, Vitrak Locations and Durgam Kshetriya Vitrak Locations are pretty same. How the selection process carried out? Application are invited for LPG distributorship only via the online portal of LPG Vitrak Chayan, those applicants who are all found to be eligible upon the state wise sort out will be picked based on the lucky lottery draw method. The names of the chosen applicant will be displayed in the official website of the LPG Vitrak Chayan under the governance of the Indian government. Where to view the Chosen applicant list? For those who are not aware, the last date for applying LPG distributors on selected states has ended and the list of chosen applicants are displayed in the official home page of the LPG Vitrak Chayan www.lpgvitarakchayan.in. By visiting the homepage one can find the scroll bar running at the right side corner where the list of chosen applicants will be found in a link sorted upon the state wise. By clicking the appropriate link, applicants can able to verify whether their names are selected or not. With such strong initiative, the government of India ensures about the reach of petroleum and LPG connection at ease for all the citizens of the India and also it will surely boost the employment opportunities to the youths in rural and also in urban areas.